On a freezing night in January bookshop owner Oliver Gooch and his small daughter Chloe come across the crow, a raggedy skeletal wretch of a bird, which takes up a persistent refuge in their new converted church home. Oliver took the money for the church from his daughter’s accident insurance. Chloe, once a rambunctious and defiant child, is now a silently smiling companion to Oliver; both a gift and curse as Oliver balances his guilt over her accident with his preference for this new, easy-to-manage child. As the crow begins to infiltrate their lives it changes something in Oliver and Chloe. 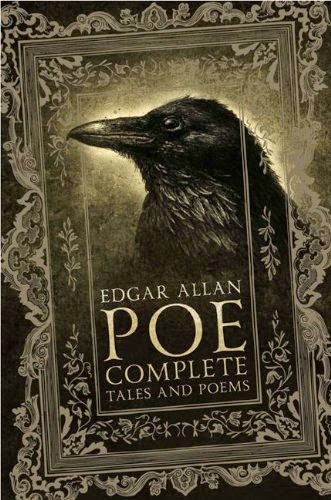 How is the crow connected to the boyhood tooth of Edgar Allan Poe, a mysterious gift to Oliver from which his bookshop draws its name, and with what purpose does it haunt the gloomy, fire-lit vestry of Poe’s Tooth Books? 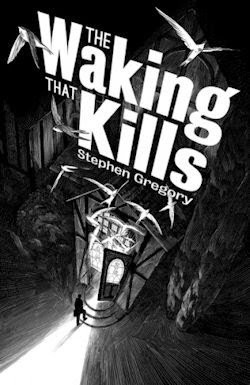 Stephen Gregory pulls precisely none of his punches in Wakening the Crow, a darkly fantastic fiction about family which, like The Waking That Kills before it, is interested in the ties that bind us together largely because these lead to the lies that drive us apart. Oliver Gooch is "a dabbler and a dilettante," someone who would "always procrastinate if there was an easier option," (p.95) and this past year, there has been. He and Rosie, his hard-working wife, have come into a substantial sum of money—enough, though the numbers go undisclosed, to purchase a church: an old Anglican in one of Nottingham's nicer suburbs. For the better, in Gooch's book. Like a worm in one's windpipe, this terrible tension is threaded throughout the plot of the novel, before being disgorged in a ghastly last act which in a sense inverts the catastrophic climax of The Waking That Kills. A malevolent presence it may be, yet again Gooch goes against his wife's wishes, refusing to remove the curious creature on the grounds that its "grotesque silhouette" (p.78) adds to the overall ambience of Poe's Tooth Books. I dare say it does... but at what cost? Wakening the Crow is a very good book—better even than its excellent predecessor—but be warned, all: it's not nice. 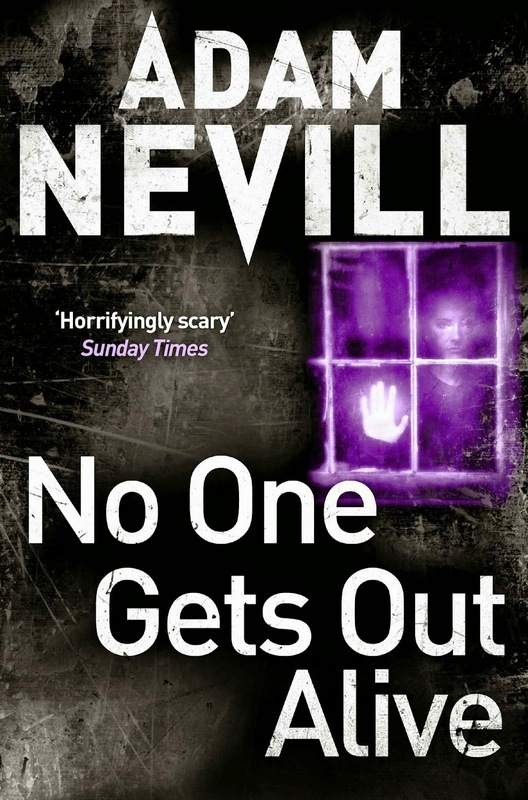 It's nasty, in fact; replete with any number of unsettling elements and a few truly revolting moments, most of which are brought into being by the text's unsympathetic central character: a horrible husband and a bad father who may or may not have molested kids, including Chloe. Protagonists don't have to be pleasant to be befitting—and Gooch is, given the tale Gregory tells—though that's certainly easier said than felt. 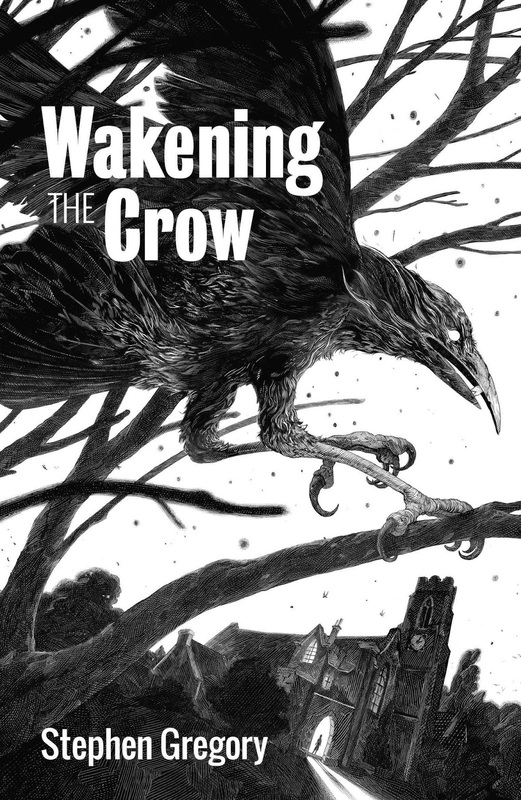 Like the book Gooch fantasises from time to time about writing, Wakening the Crow is "something so dark and disturbing and demanding of the readers, so odd and unusual and out of the ordinary" (p.28) that it's apt, at the last, to be overlooked. If you have the heart for it, however, expect to expose a fiction of human horror of the highest order.